BASSETERRE, St Kitts, CMC – The St Kitts Government has revealed it plans to spend US$1.2 million (EC$3.2 million) to host the final and semi-finals of the Caribbean Premier League but says it hopes to recoup some of this money through gate receipts and venue rentals. Warner Park venue … to host the CPL playoffs again. 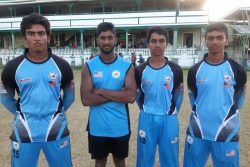 CPL organisers announced Tuesday that Warner Park would host the last four games of this year’s tournament, from August 3-8, the second time the country will play host to the playoffs of the regional Twenty20 tournament. “We were approached a few weeks ago about St. Kitts and Nevis hosting the semi-finals and finals,” Deputy Prime Minister and Minister of Sports, Shawn Richards, said. 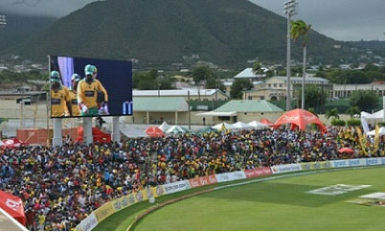 Speculation had been rife over the last month regarding the destination of the CPL playoffs with media reports indicating that Guyana and Trinidad and Tobago were front-runners to host the games. However, Richards said government was happy to invest in the venture as the playoff games presented an attractive opportunity for heightened economic activity for local businesses and small entrepreneurs. He also said a deal had been struck with CPL organisers that would see government earning revenue from the scheduled games. “We have indicated that we would like to have 25 per cent of the gate receipts,” Richards said. When St Kitts last hosted the finals two years ago, a charity game was staged with the proceeds going to the St. Kitts-Nevis National Education Foundation. And though no charity event has been scheduled for this year, Richards said they were urging CPL organisers to make a donation to the foundation. The CPL got underway in Port of Spain on Wednesday and runs until August 7. Warner Park will host a slate of four preliminary round games. St Kitts and Nevis Patriots was to take on Guyana Amazon Warriors yesterday.